Our line of Electric Deck Boats offers 2 different propulsion systems, one is electronically deployed, the other is manually deployed. The Esc’ADE uses a 36 volt, 3 battery system and has the benefit of electronically deployed and retrieved 112 lb thrust motor controlled from the helm console. It has a top speed of 5 mph. Top speed can be maintained as long as 5-6 hours between charging depending on cruising speed chosen, charge status and condition of the battery’s along with other factors like weather and temperature. The Esc’KEY uses a 36 volt, 3 battery system and the 112 lb thrust motor is manually deployed and retrieved from the stern of the boat, with a top speed of 4.7 mph. Like all electrically powered boats there are many factors that influence run time. Its top speed can be maintained for 5-6 hours between charges depending on charge status and condition of the batteries along with other factors. Other Factors that lessen run time can be anything that uses energy from the battery’s. They can include; ambient heat, age of the batteries, charge status at the beginning of a ride, how much the accessories have been used. Note: run time at top speed specifications are listed for comparison only. Running any of these systems at less than top speed greatly increases total run time between charges. Deploying and retrieving the motor on the Esc’KEY is very simple. By turning the motor handle at the stern a quarter turn to the left then lowering 10” is all that is needed to deploy. Reversing this process retrieves the motor. It is similar to lifting or lowering a 5 gallon bucket ½ full of water (20-25 lbs) 10”, very simple. It is advised not leave these motors in the water while not in use for extended periods of time, storing out of the water will help realize the longest possible life span of the motor. 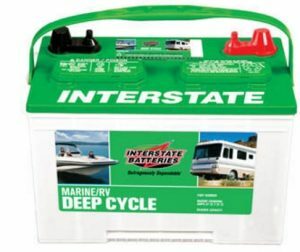 Interstate Marine Batteries – EscBoats.com is an authorized Interstate Marine Battery Dealer. 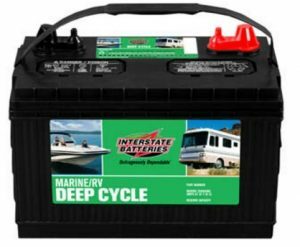 Marine batteries are available to purchase from EscBoats. 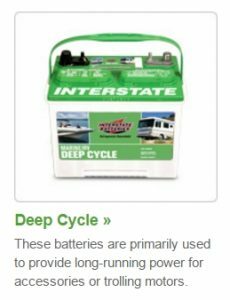 Some customers prefer purchasing their batteries locally.